I love Pinterest and sometimes lose track of time (hours) while creating my boards and wish lists of all the eye candy posted there. Needing Christmas ideas I decided to creep our daughter’s Pinterest boards and make something re-purposed based on items pinned to their boards. The first project was a coat rack. We had three large metal coat hooks I bought on a clearance sale a long time ago and all that was needed was to repaint them. I purchased a foot board from the thrift store and my husband cut the legs off and sanded it. I added a coat of paint and wax, then assembled the project. We added a cleat made for hanging heavy objects and it was complete. 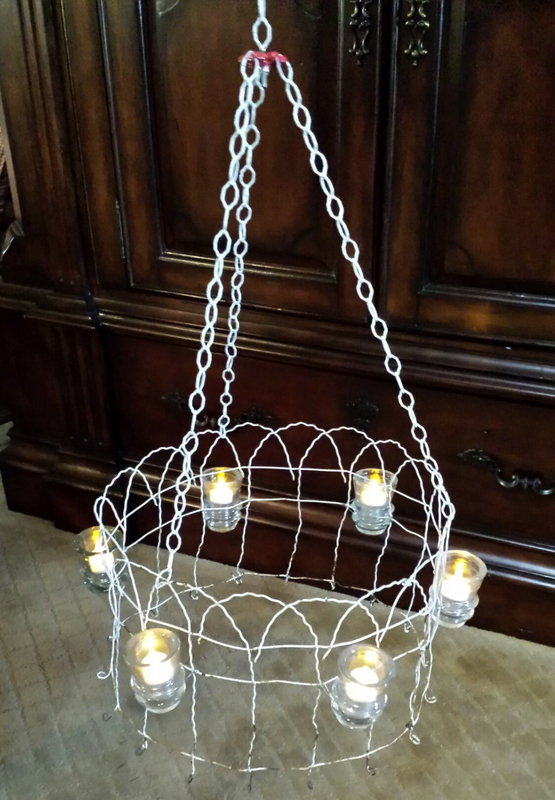 The next project was an outdoor garden light. I had a roll of old, rusty and white wire garden fencing and a collection of clear insulators. We wired the fencing into a circle, attached the insulators with wire, and topped it with a chain to hang it. We used a round valve handle to connect the three lengths of chains together. These two projects were based on Pins from Pinterest. Thanks to those that provided the original inspiration. I will know I have gone too far re-purposing if I see a new board titled, “Crap I don’t want my mom to make me”. Now to find a project for birthday gifts. 08 Feb	This entry was published on February 8, 2014 at 12:31 am. 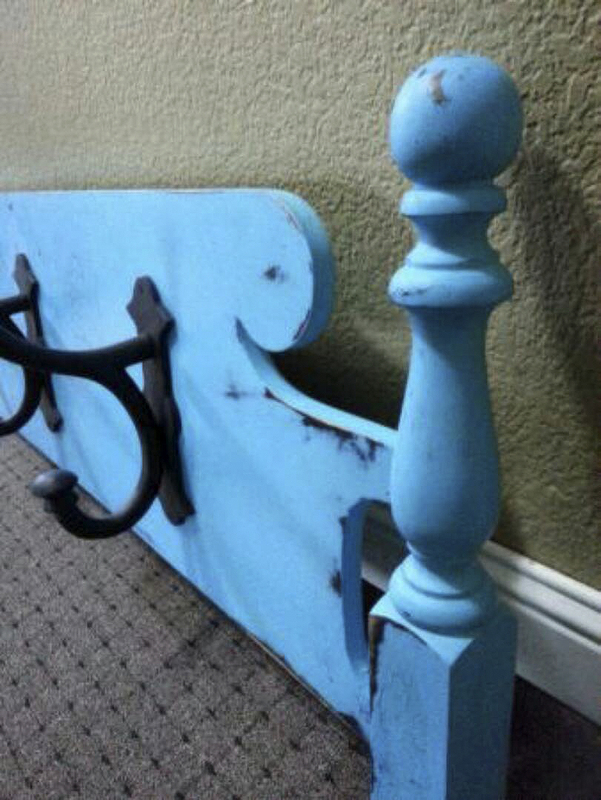 It’s filed under DIY, Re-purpose, Re-purpose Gallery and tagged bed, coat rack, garden light, re-purpose. Bookmark the permalink. Follow any comments here with the RSS feed for this post.